Born only two years before the Kelly Gang’s infamous last stand, you could say that Pancho Villa was a kindred spirit. At times a Mexican revolutionary guerrilla, at others an executioner of the innocent, just like the Kelly Gang he died under a hail of bullets. What better namesake for Hobart’s newest Mexican restaurant and Tequila Bar?! It’s interesting that in the quote above, Azuela proclaims ‘Villa as Providence’. I’m sure this wasn’t part of the name selection process, but how many of you knew that North Hobart is actually located on Providence Rivulet? Things get a little spooky though when you realise that Burger Haus, Ragazzi and Capital are actually located right next to the original location of Providence Rivulet. The owners of all three establishments? The very same team behind Pancho Villa!!! Judging by their previous offerings, we weren’t sure what to expect. 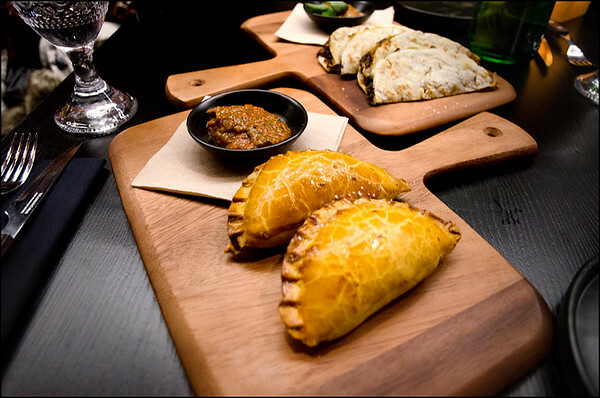 Capital are producing some of the best Italian food in Hobart. Burger Haus? Fair to middling. With the recent closure of Chulo, could Pancho Villa fill that taco shaped hole in our bellies? It’s hard not to be impressed by the interior design. 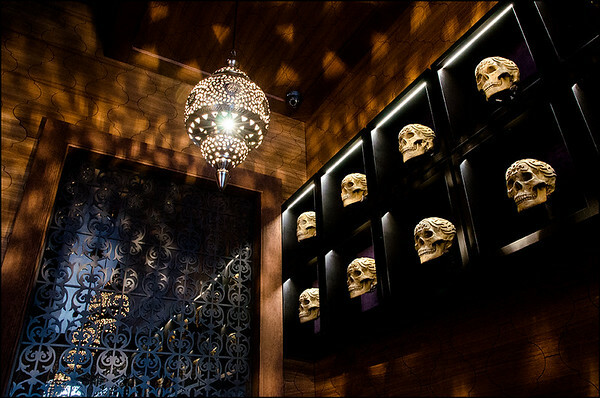 The main dining room and bar is dark and dangerously seductive. 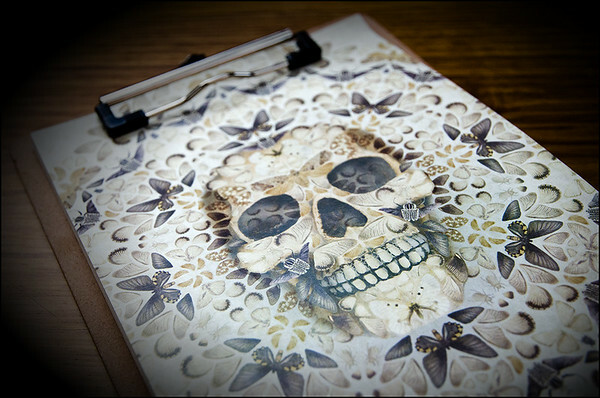 Think rattlesnakes on velvet, from dusk ’til dawn. 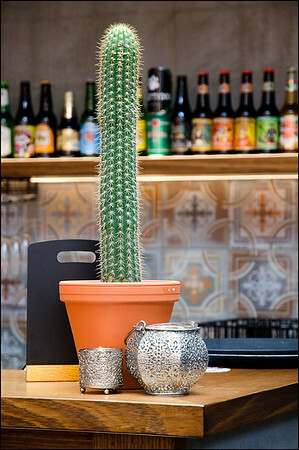 Alternatively, the courtyard offers a light, spacious and laid back ambience perfectly suited to the more casual diner, or those simply in search of a cerveza or two. 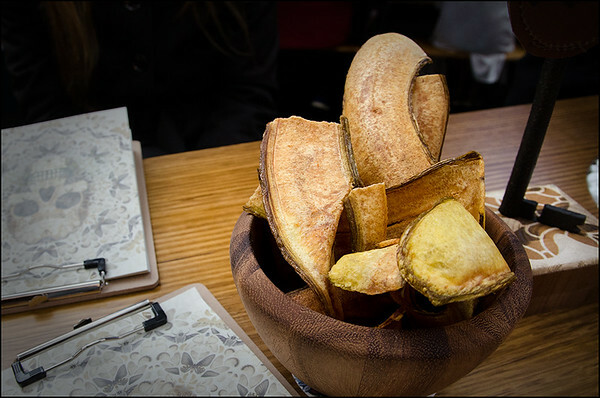 Suiting the atmosphere, the menu is stripped back offering popular options such as plaintain chips, or tacos with a unique variety of fillings including ox tongue! 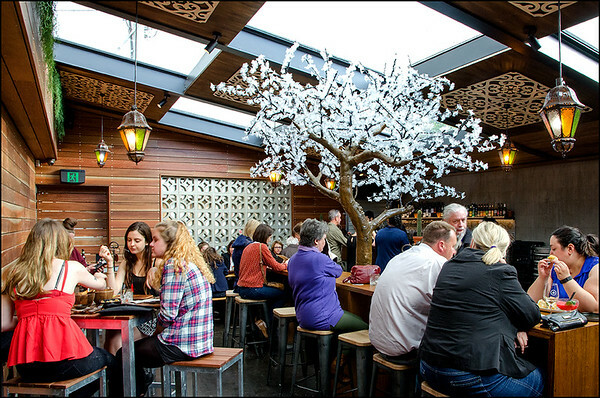 If you can stretch the budget a little further, take the opportunity to try one of their tequila cocktails. That first venomous mouthful will knock you off your seat, upon which you’ll promptly clamber back onto that horse for seconds…and thirds…and fourths…totally addictive! Pancho Villa was a man of the people, and just like a good little Socialist the best way to experience his hospitality is through shared dishes. 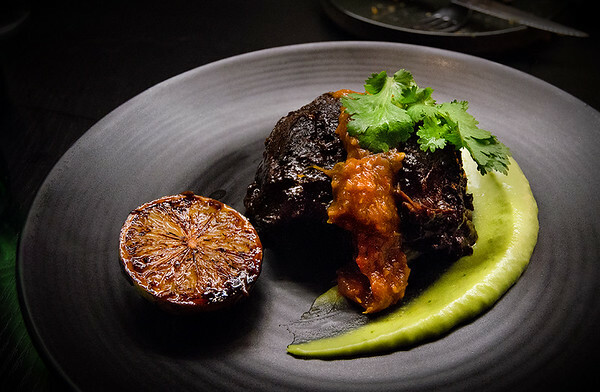 Every dish on the menu is designed with this communal approach in mind, and we found ourselves grazing our way through a riot of Mexican flavours in numerous forms, some traditional, others less so. 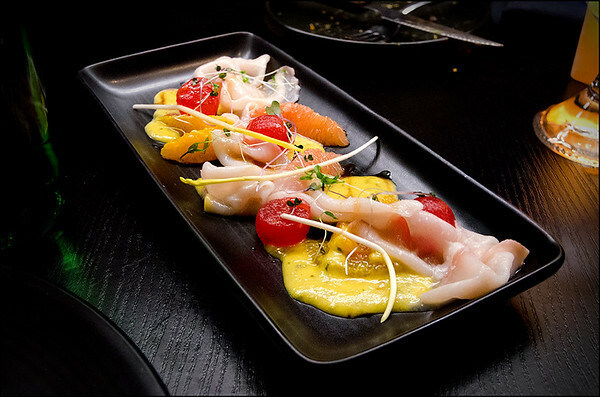 The menu is extensive, providing clearly marked options for those with dietary requirements, including numerous vegetarian and gluten free dishes. For us the dish of the evening just so happened to be the first to arrive. Ox tongue taco, with pomegranate mojo, queso fresco and pickled jalapeno ($16 for 2). “This is better than Mamasita!!”. And it was. None of the other dishes let us down, yet at the same time none could reach these same lofty heights. 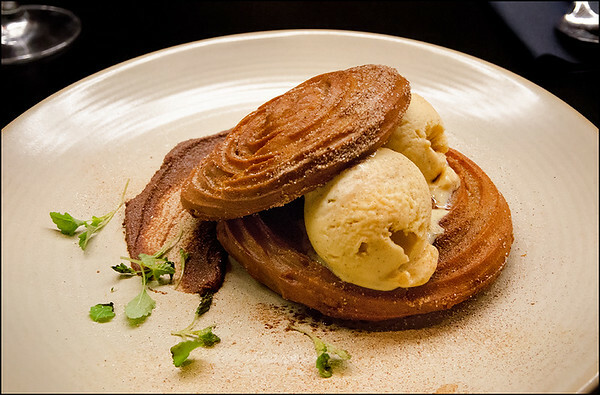 Perhaps it was the churros con dulce de leche that came closest. Biting into the churros ‘biscuit’ was heavenly. Crisp, crunchy exterior; fine crystals of sugar delicately coating every mouthful with sweet bliss. The interior contrasting vividly, with clouds of soft, pillowy bread evaporating into nothingness upon the slightest contact. I haven’t had better. Those who enjoy a tipple with their taco will be very pleased with the alcoholic options on offer. 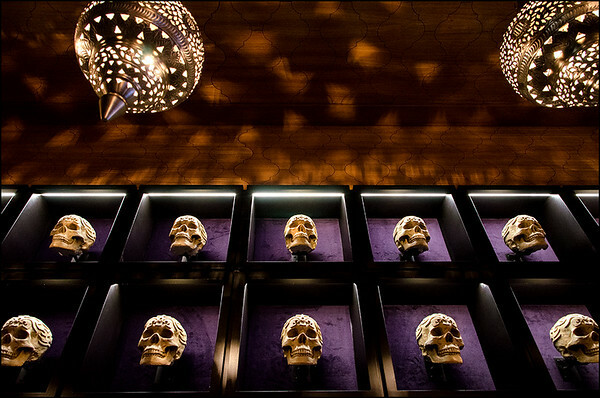 The range of tequilas and mezcals is extensive, and the wine list showcasing a diverse range from around the world. Beer is a great accompaniment to Mexican food, and if that’s what you’re looking for then you won’t be disappointed, with many unique brews available from both Australia and abroad. I need to be careful in describing the service we received throughout the evening. I believe this was only their second day of full service, and as such the staff were still finding their feet. 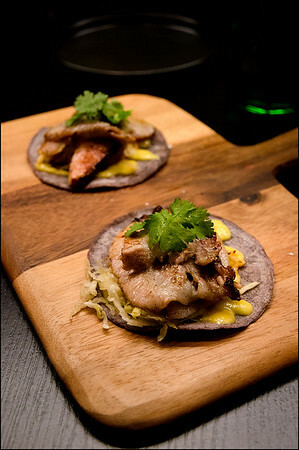 We would have loved to have said “Yes” to the offer of another two servings of the ox tongue tacos! Importantly, all the service staff with whom we interacted had the right attitude, and with time I’m sure will come the confidence underpinning an exemplary level of customer service. As already mentioned, the food was fantastic. Yet in hindsight it would have been nice to have a few more spicy options. Traditional Mexican cuisine is complex, and it would be easy to assume it’s all about the chillies (it isn’t! ), yet as we scanned the menu perhaps only one or two dishes seemed to have the potential for a little heat. Perhaps this is my Aus-Mex bias coming through, but I do like a bit of a culinary kick up the pants every now and then! 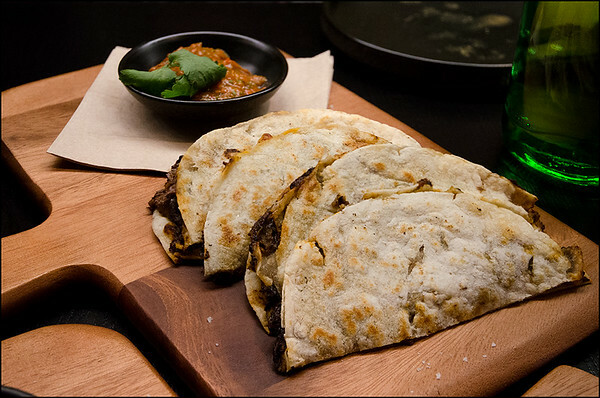 Considering they come with a back story of burgers, pizza and anti pasto, the team behind Pancho Villa have exceeded all expectations. To be honest, I’m astonished. The standards they have already set, even so early in their life, are supremely high and will be hard to beat. 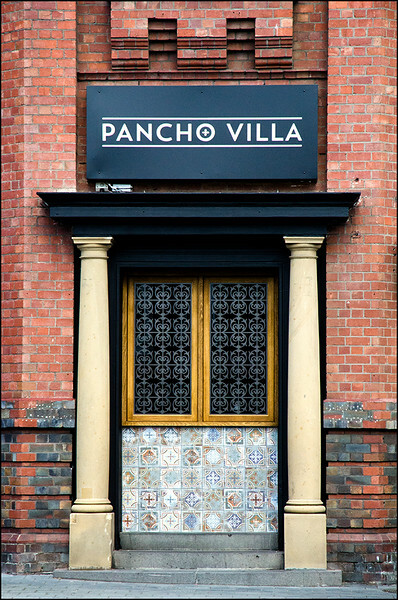 I can only imagine how good Pancho Villa is going to be in a couple of months time with a few more menu tweaks and few thousand hours of service under their belts! It was a sad day when the team at Chulo decided to close their doors and focus on their food van, Taco Taco. 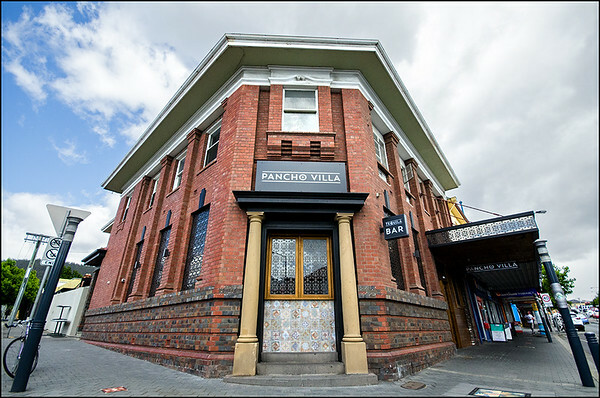 Yet only months later Pancho Villa are filling that void with panache, confidence and great Mexican food. In fact, you could almost go so far as to say that when it comes to the provision of such fine fare they are, “a manifestation of divine guidance“. In other words, providence! 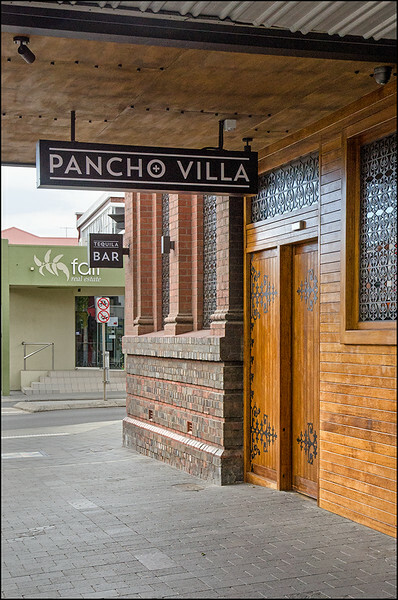 Pancho Villa can be found on the corner of Elizabeth and Pitt streets.